Facts: Bobdeb Nkondogoro was aged 12 years. He had recently arrived in Australia from Tanzania. He went swimming in a creek in their neighbourhood despite being unable to swim. It was not possible to be certain whether he was accompanied while swimming but it appeared to be the case that he had accidentally drowned after becoming trapped underwater. John Ndirangu was aged 23 years and had recently migrated to Australia from Kenya. With some family members he went wading at Frankston Beach in the late afternoon of 7 February 2009*. A passing wave caused him to be unable to become unable to touch the bottom. Not being able to swim, he lost his footing and drowned. At the time there were no lifeguards on duty, and the ‘no swimming’ flags had been removed; such that swimmers were expected to look out for themselves and each other. The coroner noted that new migrants to Australia were provided with a booklet which included a significant amount of information, including as to the dangers of swimming in open waters for non-swimmers. He also noted that a number of community programs existed to aid new migrants to learn to swim, but that there were some difficulties with communication and also sustaining the involvement of participants. Held: No criticism was made of the emergency services response in either matter. It was recommended that the Victorian Department of Sports and Recreation, in partnership with the Commonwealth Department of Immigration, examine how members of newly arrived migrant groups might best be taught to swim and to provide help with achieving that objective. The Court’s judgment in relation to Mr Nkondogoro is available here and in relation to Mr Ndirangu is available here. * From personal recollection I can confirm that 7 February 2009 was an extremely hot day in Melbourne, and that by late afternoon the attention of police and emergency services across the state were very heavily focussed on the outbreak of the disastrous “Black Saturday” bushfires. 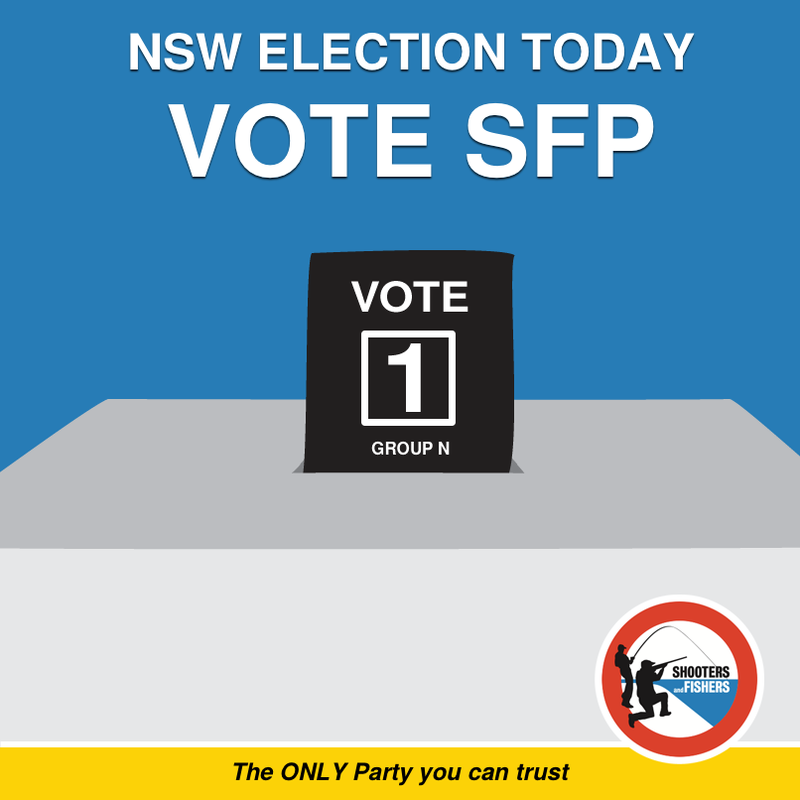 The State of New South Wales goes to the polls today. I live in another state, but it shapes as an interesting contest that may lead to some intriguing results. I’ve been thinking lately about the Latin phrase mens sana in corpore sano as a means of analysing politics (among other things). It seems to me that every non-criminal government will ensure that its citizens remain alive; it is only the best that will offer them conditions that really make them live. Some of the smaller parties contending today, however, can be said to have made that their starting point. I received an email from the Arts Party yesterday (which is what prompted this post). The capacity of the arts to challenge people, and therefore change and enrich them, should not be underestimated. Hence, a grouping like this is an encouraging thing. I recently joined the Cyclists Party because it seemed to be the closest to my core interest of running: after all, cyclists and runners use much the same infrastructure (like rail-trails) and have a common interest in promoting fitness-oriented policies (as it happens, I subsequently also bought a bicycle). Like the arts, a dedication to fitness has an incredible power to change people and show them their own strengths. This, surely, is to be encouraged. It might seem incongruous to include a reference to the Shooters and Fishers Party after the preceding two. I do not think this is so. Aside from the obvious benefits of having to be outside to both hunt and fish, I think there are benefits from both as regards mental wellbeing. For one thing, both activities connect the present with the people of the past: not for nothing is a French political party with similar aims named “Chasse, pêche, nature, traditions” (“Hunting, Fishing, Nature, Traditions”). For another, the task of killing either animal or fish compels the hunter or fisher to consider (if only fleetingly) some of the bigger questions of existence: as Hemingway said, “Because [the Spanish] have common sense they are interested in death and do not spend their lives avoiding the thought of it and hoping it does not exist only to discover it when they come to die”(1). 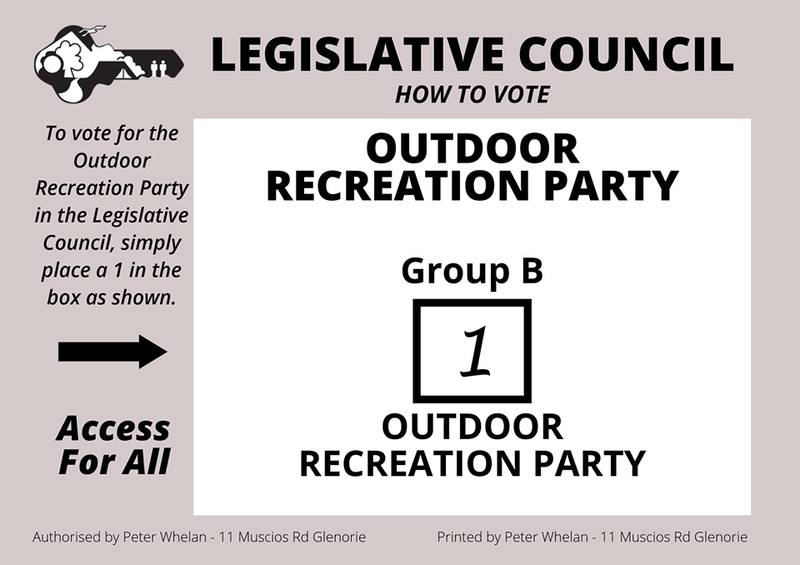 The Outdoor Recreation Party hints that, in the future, the liberal and libertarian schools of thought may find that a common love for the natural world gives them more in common than what divides them. Being outdoors – being in nature – is rejuvenative and touches people at a fundamental level. Camus said that “the great shout of stone that Djemila hurls between the mountains , the sky , and the silence – well do I know its poetry: lucidity, indifference, the true signs of beauty or despair” (2). There are many important questions in politics. But whichever way you vote today, I hope you vote for whatever you think will help may you most whole in body and mind. Appearing for the Plaintiff: SCP Yves et Blaise Capron. Appearing for the Defendant: SCP Celice, Blancpain & Soltner. Facts: The defendant operated “Café Indiana” at 18 Montmartre Boulevard, Paris. The terrace of the cafe was found to be closed on its three main sides and to be only partly ventilated beneath its roof. Article L.3511-7 of the French Code of Public Health forbids smoking in places given over to collective use. Pursuant to Article 8 of the World Health Organization’s Framework Convention for Tobacco Control, such places include enclosed and covered areas which are workplaces or which are intended to be accessed by the public. The plaintiff brought proceedings against the defendant alleging a breach of Article L.3511-7 and claimed damages and an injunction. The proceeding was dismissed by the trial court (Assoc. Les Droits des Non-Fumeurs v Sté Indiana Richelieu Drouot, Paris Tribunal de Grand Instance*, 14 September 2010, unreported). The plaintiff’s appeal was dismissed (Assoc. Les Droits des Non-Fumeurs v Sté Indiana Richelieu Drouot, Paris Court of Appeal, 11 May 2012, unreported). The plaintiff further appealed to the Court of Cassation. Held: Allowing the appeal and remitting the matter to the Versailles Court of Appeal, that the cafe’s provision of only partial ventilation under its roof while being closed on its three main sides was inadequate to respond to the law’s requirements. * Roughly, the Paris Superior Court. Facts: The plaintiffs consumed “Diet Pepsi” and “Pepsi One” (drinks). Mr Riva asserted that he consumed Pepsi One two to three times a week; Ms Ardagna that she drank nearly 30 cans of Diet Pepsi a week. They alleged that each can of these drinks contained 43.5 and 30.5 micrograms respectively of 4-methylimidazole (4-MeI). A report from the National Toxicology Program found that high doses of 4-MeI resulted in increased levels of bronchioloalveolar cancer in mice. The plaintiffs brought proceedings against Pepsico alleging that its products had caused them to experience an increased risk of cancer. They alleged negligence and also strict liability based on defective design and on failure to warn. They sought the establishment of a fund from which people who consumed the drinks between 2010 and 2013 could be paid for the costs of medical monitoring of potential bronchioloalveolar cancer. The defendant sought to dismiss the proceedings for failure to state a claim. 1. The plaintiffs had failed to establish constitutional standing to sue. To establish standing it was necessary to show that (a) there was an actual (or imminent), concrete and particularizable invasion of a legally protected interest; (b) that the injury was fairly traceable to the defendant’s actions; and (c) that it was likely that the injury would be redressed by a favourable decision. While an increased risk of injury can establish the necessary invasion of an interest, the increased risk must be credible and not simply a matter of conjecture. In this case the plaintiffs had not shown that their increased cancer risk was credible and substantial, but merely speculative. Central Delta Water Agency v United States, 306 F.3d 938 (9th Cir. 2002), followed. the medical value of early detection and diagnosis. In the present case, the plaintiffs had not sufficiently alleged a causal connection between drinks and an increased risk of developing the cancer given the significance and extent of their exposure, nor sufficiently pleaded their injury or the toxicity of 4-MeI, nor shown the necessary relative increase in risk. Potter v Firestone Tire & Rubber Co, 6 Cal.4th 965 (1993), followed. Appearing for the Prosecution: Erika Tusar (of Wayne County Prosecutor’s Office). Facts: The defendant, a 36-year-old Lebanese national, was playing in a recreational soccer match at Livonia on 29 June 2014. The referee, John Bieniewicz, issued him with a red card, ejecting him from the game. The defendant lost his temper and punched the referee, causing fatal injuries. The accused was charged with second degree murder and pleaded guilty to involuntary manslaughter. His history included assaulting another soccer player during a match in 2005. 1. That the defendant was an example of what the community considered wrong with escalating violence in sports. His offence was “a childish, senseless act of taking another man’s life with no excuse or justification other than dealing with rage that [he was] unable to contain” (1). 2. That the defendant pay $9,265 restitution to the deceased’s family in respect of funeral expenses. Note: It is possible that the defendant’s potential deportation following his term of imprisonment may have been a factor in the sentence imposed. The court’s case record (including a summary of the sentence) is available here. This report also used information contained in reports published in the Detroit News of 20 February 2015, the Detroit Free Press of 13 March 2015, the New York Daily News of 13 March 2015, USA Today of 13 March 2015, and reported on NBC News on 13 March 2015, on CBS News on 13 March 2015 and on WXYZ Detroit on 13 March 2015. (1) Cf the sentencing remarks in DPP v Ryan (2007) H&FLR 2014-49. Catchwords: Samoa – rugby – professional athlete – selection team – injury – assurance – ‘looked after’. Facts: The plaintiff was a professional rugby player. On 5 April 2006 he took part in a practice match between a local club and a side made up of players (including himself) being considered for selection in the Samoan national side. During a maul he suffered a neck injury as a result of fair play. The injury was expected to end his playing career. The Court accepted that the plaintiff entered upon the selection process having been assured that the defendant would “look after him” in relation to medical treatment and associated costs (but not future loss of income) in the event of injury. In the event he was provided with little or no assistance by the defendant and brought proceedings against it on the basis that it had tortiously or in breach of contract failed to honour its assurance, including by failing to take out suitable insurance. 1. It was indisputable that the defendant owed the plaintiff a duty of care while he was taking part in the selection process. The real issue was the standard of care to be observed, which would be determined by what was reasonable in the circumstances as regards taking out insurance. In this case, the defendant was entitled to rely on the standard set by the International Rugby Board which did not require insurance to be taken out over players in the selection process. Bolton v Stone  AC 850; Wyong Shire Council v Shirt (1980) 146 CLR 552; and Burnie Port Authority v General Jones Pty Ltd (1994) 179 CLR 520, followed. Reid v Rush and Tompkins Group Plc  1 WLR 212, followed. 3. The general agreement that the defendant would look after the plaintiff was binding on it, despite the defendant not being obliged to take out insurance to this effect. The defendant had breached this commitment by doing little or nothing to assist the plaintiff following his injury. In the circumstances compensation was payable and damages were assessed. Facts: The first defendant (Gray) lived in a Washington DC house owned by the second defendant (Johnson). The house had been purchased by their mother in 1964. In mid-2014 the plaintiffs and their infant daughter moved into the adjoining house. The first defendant conceded that from time to time he would smoke tobacco and marijuana and burn incense. The plaintiffs alleged that this caused their house to smell of (or become filled by) smoke, causing loss of amenity and a risk of personal harm. There was significant evidence that there were cracks in the wall shared by the houses, that the defendants’ chimney was decaying, and that these factors were causing smoke to enter the plaintiffs’ house. The defendants alleged that shoddy renovations to the plaintiffs’ property had left the wall inadequately sealed. Discussions between the parties did not resolve the matter and the plaintiffs issued proceedings in negligence, nuisance and trespass and claiming damages. An interlocutory injunction on the defendant smoking in the premises was sought by the plaintiffs. Held: Granting the injunction, that the defendant be forbidden from smoking any substance whatsoever inside his home. Her Honour further ordered him to refuse to allow any person to reenter the house who smoked in breach of the order. The order was to remain in force until further order or until the matter was finally heard. No written reasons are available. This report has been prepared based on reports in the Washington Post of 10 March 2015 (here and here), by radio station WTOP and television station WJLA-TV. Comment: This matter invites comparison with the German case of Proprietor v Adolfs (2014) H&FLR 2014-36. One might infer that the law will be particularly receptive to claims of loss of amenity due to smoking, particularly in light of other cases which suggest tobacco use is coming to be considered a social burden (for example, Police v Dumughn (2002) H&FLR 2015-23 and State v Native Wholesale Supply (2014) H&FLR 2014-32). No appearances – finding without inquest. Facts: The deceased was aged 55 years and an experienced recreational cyclist. On 26 May 2010 she was cycling on the Great Alpine Road between Harrietville and Mt Hotham. While descending Mt Hotham the deceased was wearing a fluorescent green jacket and travelling at about 40 kph (25 mph). As she approached a sharp left bend she saw a slow moving Kenworth prime mover and low loader driven by a Mr Skahill. Rodd braked, causing her bike to fishtail. She fell from the bike and into the path of the truck, sustaining fatal injuries. It was accepted that the truck was on the correct side of the road at all times. Held: 1. The truck driver did not contribute to the deceased’s death. 2. The roads authority (VicRoads) should consider requiring the use of pilot vehicles by oversize heavy vehicles on steep roads with multiple blind or hairpin bends where the heavy vehicle’s size means it takes up a substantial part of the lane or must cross the centreline to negotiate a bend. Facts: The plaintiff was employed by the defendant as a facility named Camp Scoutshire Woods. She was employed as its business manager and assistant to the camp director. It was customary for the camp’s horse director to arrange a hose ride for staff of the camp at the end of the six week summer camp program. It was not part of the plaintiff’s duties to take part in this ride, nor was it part of her remuneration, and the defendant did not derive a benefit from it. When the ride took place on 29 June 2011, the plaintiff’s horse bolted and she fell, sustaining a back injury. The plaintiff claimed compensation under Alabama’s Workers’ Compensation Act. The Act requires that, for an injury to be compensable, it must arise out of and in the course of employment: Ala. Code 1975, §25-5-1(8). The defendant sought and was granted summary dismissal of the claim on the basis that the injury did not so arise: Pollock v Girl Scouts of Southern Alabama Inc (Mobile Cir. Ct, unknown judge, 18 February 2014, unreported). The plaintiff appealed. 1. The phrases “arising out of” and “in the course of” in §25-5-1(8) denote two distinct concepts and both must be met to bring a case within the Act. Ex parte Shelby County Health Care Authority, 850 So. 2d 332 (Ala. 2002), followed. (a) The ride was voluntary and recreational and unrelated to the plaintiff’s duties as business manager and assistant to the camp director. Further, it was not naturally related to or incidental to her work. (b) The defendant derived no benefit from the holding of the ride. (c) While the defendant permitted the plaintiff to take part in the ride, it did not encourage her to do so. Young v Mutual Savings Life Insurance Co, 541 So.2d 24 (Ala. Civ. App. 1989); Ex parte Shelby County Health Care Authority, 850 So. 2d 332 (Ala. 2002); Moore’s Case, 330 Mass. 1, 110 NE.2d 764 (1953); Wooten v Roden, 260 Ala. 606, 71 So.2d 802 (1954), followed. Board of Managers of City of Birmingham Retirement and Relief System v Elliott, 532 So.2d 1019 (Ala. Civ. App. 1998); Ex parte Holton, 886 So.2d 83 (Ala. 2003); Kennedy v.Cochran, 475 So.2d 872 (Ala. Civ. App. 1985), distinguished. Facts: The deased was a 22 year old student. On 17 March 2010 he was cycling to university along a designated shared parking and cycling lane on Glenferrie Road, Hawthorn, south of the intersection with Barkers Road. A car driver (Mrs Richards) was parked in the shared lane approximately 150 metres from the intersection of Barkers and Glenferrie Roads. She opened the driver’s-side door, which collided with Mr Cross causing him to fall onto the roadway beneath the trailer wheels of a heavy vehicle with was also travelling south on the road. Mr Cross sustained fatal injuries in the accident and died at the scene. The driver’s evidence was that she had considered the possible presence of cyclists, that she had checked her wing mirror and that she had opened her door only 12cm (about 5 inches) when it was struck (1). She said however that she had not seen the deceased. The truck driver’s evidence was that he was travelling at around 30 kph (19 mph) at the time of the accident. Police opted not to charge Mrs Richards with breaching Road Safety Road Rules 2009, r.269(3) (opening a vehicle door to the danger of another). 1. Cyclists should be considered vulnerable when riding in close proximity to other vehicles. 2. It is the responsibility of motorists to check for the presence of cyclists before opening car doors. However, it is incumbent on cyclists to remain vigilant when riding past parked cars. It was recommended that VicRoads take steps to remind both groups of their responsibilities. 3. It was recommended that reconfiguring bicycle lanes to pass to the left of parked cars be encouraged. Comment: Intriguingly, Court’s third recommendation may have little trouble attracting support at a policy-setting level. Pro-cycling politicians have observed that “a significant number of people would ride to work and sports and make as many short trips as they could by bike, if it were safe to do so … That means having safer on-road or off-road paths that connect and link the various centres” (2). The safety-enhancing effect of having bicycle lanes to the left of parked cars would have prevented, for example, the accidents discussed in a blogpost by attorney Tina Willis (3) and looks remarkably like arch-conservative Rush Limbaugh’s robustly-expressed view that cyclists should be required to ride on footpaths rather than on public roads (4). (1) How far the door was opened was disputed by another witness. 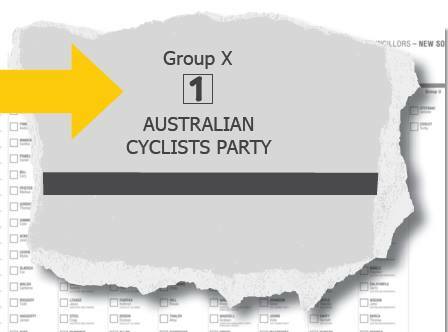 (2) ‘Pushbike pollies pedalling a new line’, Newcastle Herald, 6 March 2015.